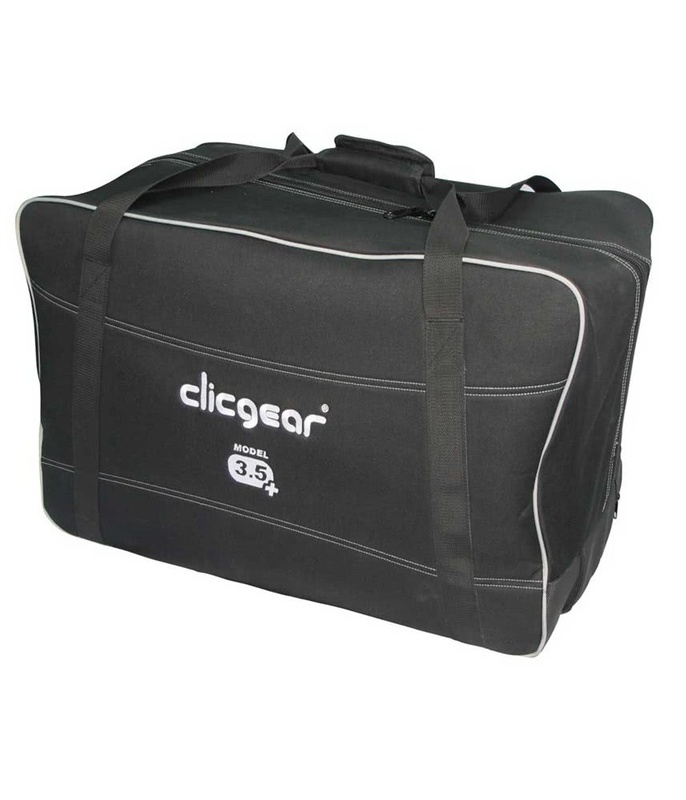 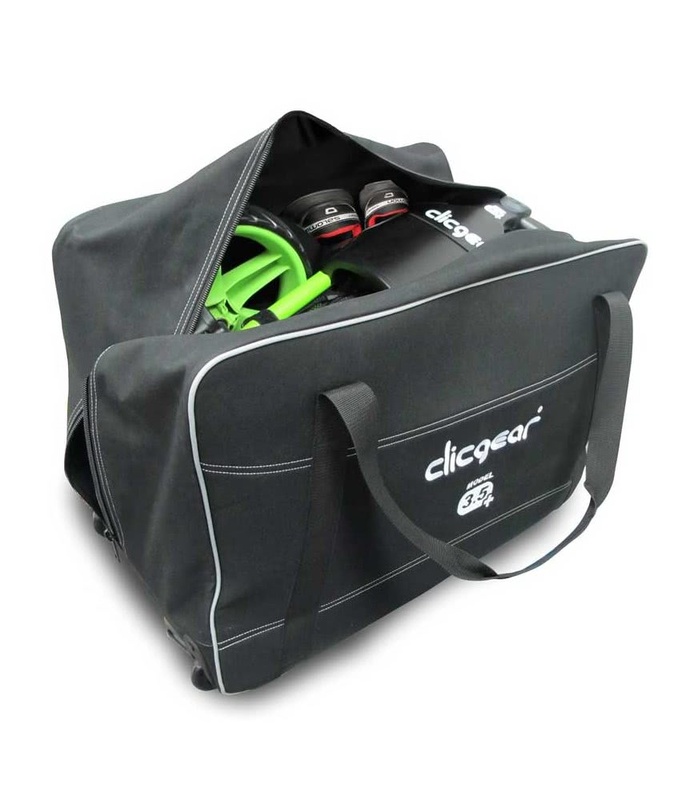 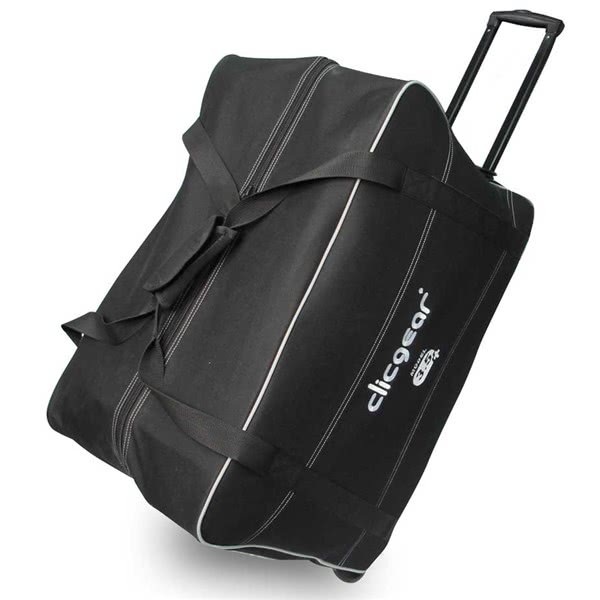 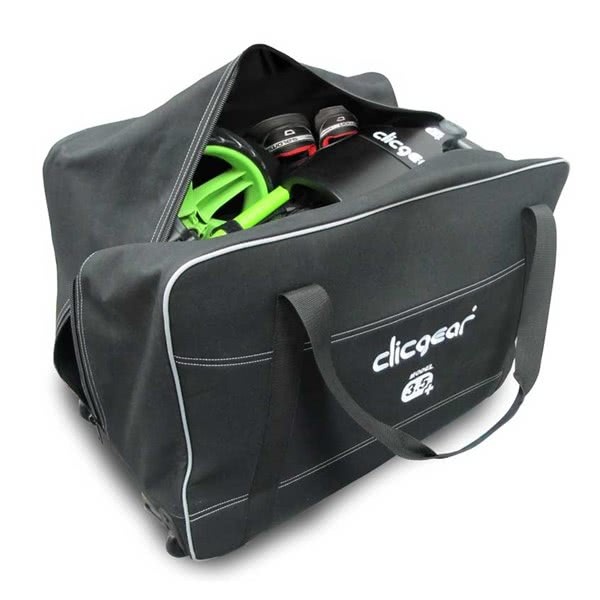 The Clicgear Wheeled trolley cover provides the necessary protection while on the move with your trolley. 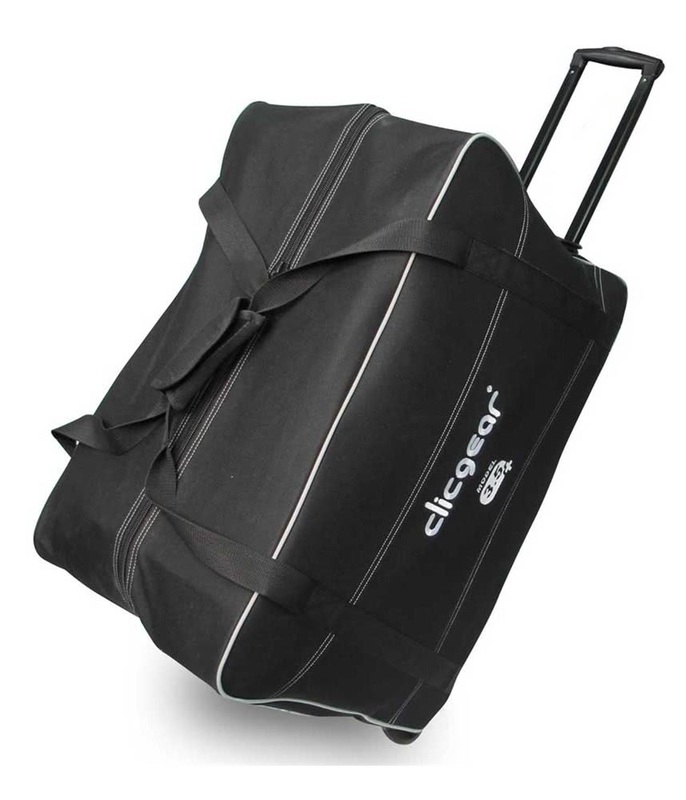 The smooth in-line skate wheels provide an effortless glide over all types of surfaces. 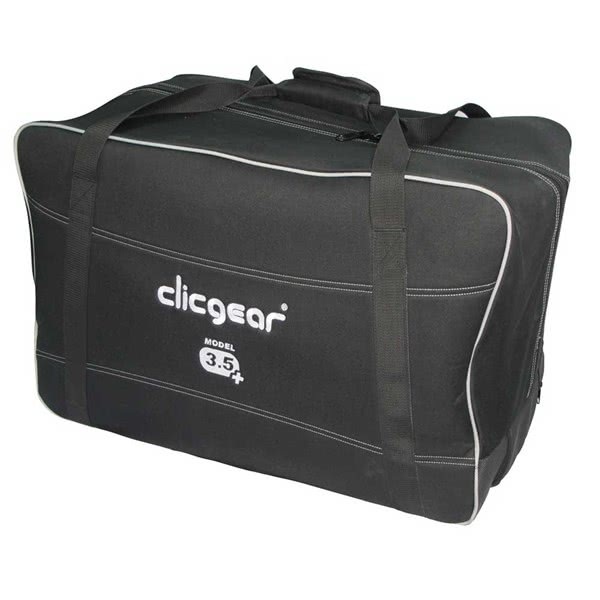 To provide comfortable transportation Clicgear have included a telescopic handle. 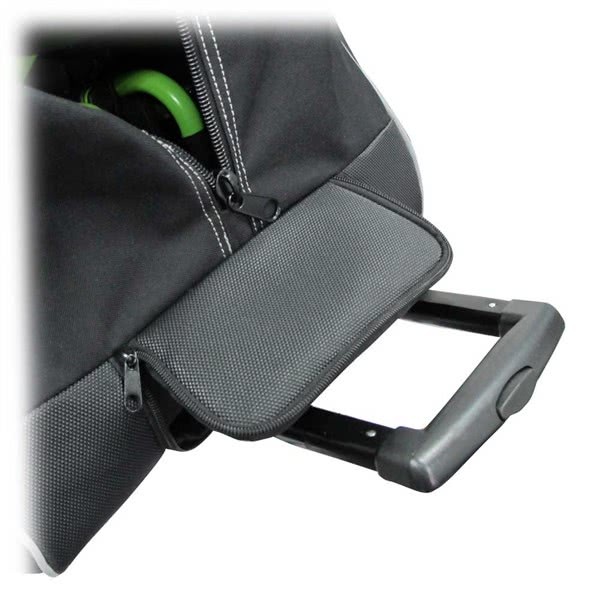 This convenient wheeled trolley cover is compatible with the Clicgear 1.0, 3.5+ or the Rovic RV1C and the RV1S trolleys. 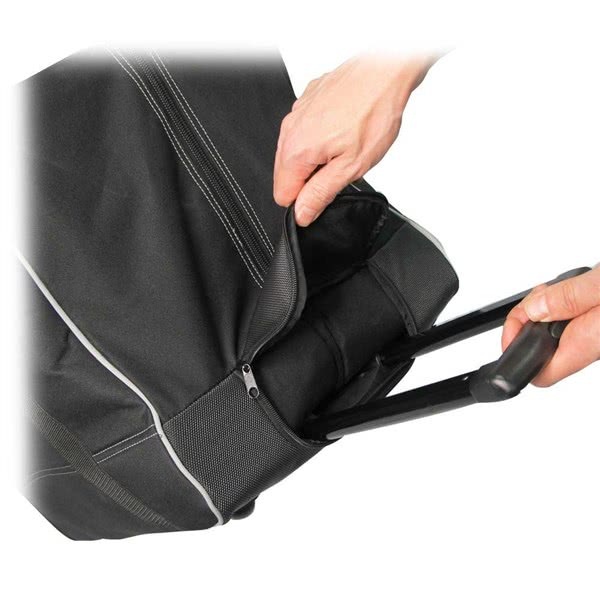 A full length zippered entry allows for easy loading and unloading. 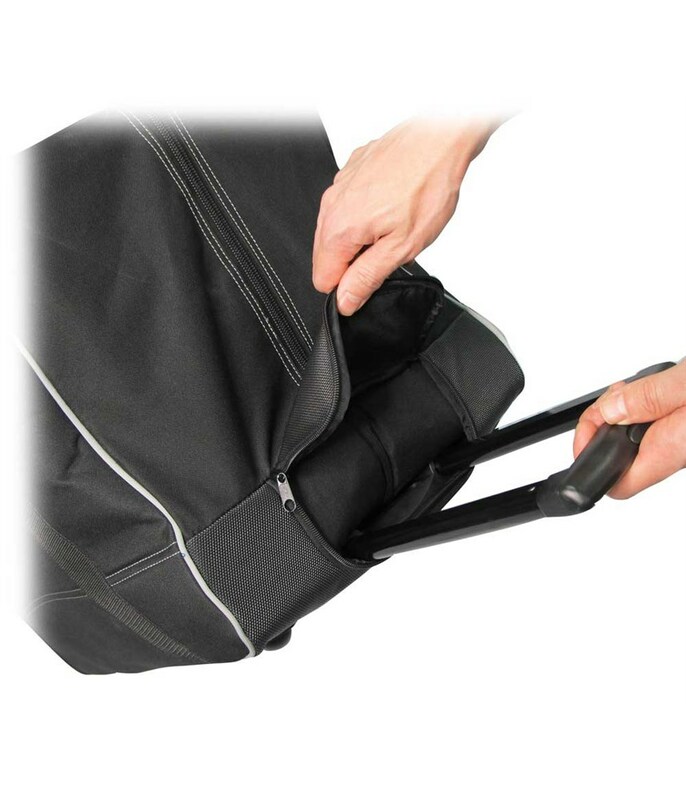 Once you trolley is in the cover there is plenty of room to store things like shoes and other accessories. 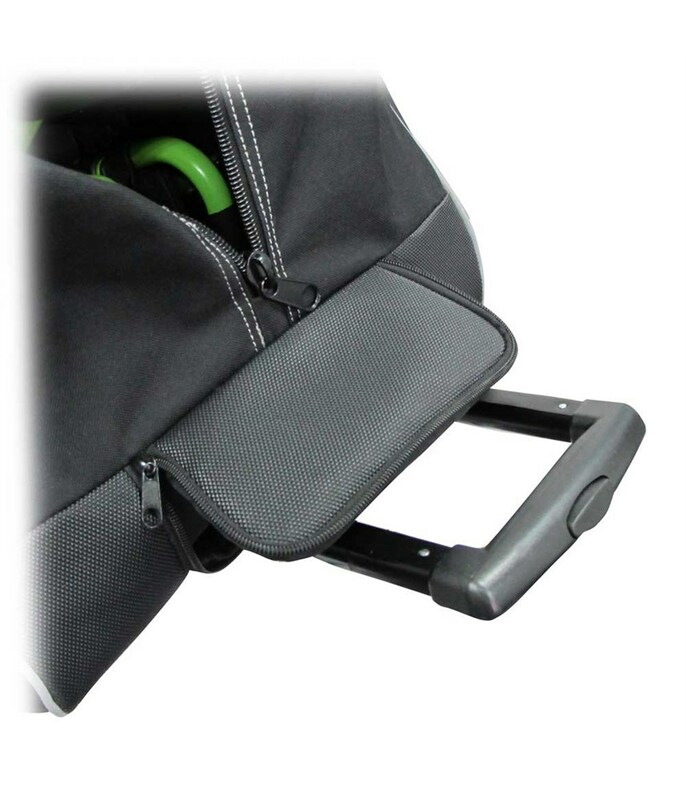 A rubberised base has been added to the design to ensure durability, the fabric is tough with a padded splash proof finish.